I am proud to share my interview with Algerian French singer Souad Massi about her new CD "El-Mutakallimûn" and about her film debut in Najwa Najjar's "Eyes of a Thief" along with Egyptian actor Khaled Abol Naga خالد ابو النجا. The interview was conducted in English, Arabic and French and recorded by phone whilst Souad Massi was in France (March 2016). 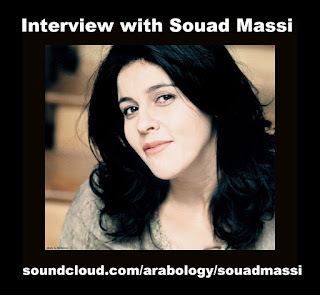 Listen to my radio interview with Souad Massi below or at THIS LINK.